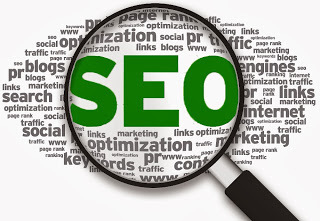 Search Engine Optimization (SEO) are the actions you can take that will help your potential customers find you when they use things like Google to search for a product or service. Things like site maps, heading tags and page titles should all get input when you first create your site. The first step, make a list of terms you think people would use to search for your product or services. Then confirm your list by asking people you know (existing customers would be ideal) how they would search for your product or service. You can also use Google’s AdWords Keyword tool to come up with alternative search phrases. If you have already populated your site with content, you can also use Google’s search keyword tool for more suggested keywords. (more on keywords from my previous post: Finding the right keywords for your website page). AdWords is also a useful instrument for a reality check your search terms by telling you how many searches a word or phrase has. Keep in mind, the more popular the search term, the harder it will be to achieve top rank. It doesn’t mean you won’t find rank search success; it just means you may be better off focusing on other terms. I also found that synchronising your Google analytics with Google webmaster tools account gives you access to the Search Engine Optimization menu option under the Traffic Sources tab (on Google's Analytics interface). There are three different views: Queries (what search terms your website appears under), Landing Pages (which pages get the most impressions and click-throughs) and Geographical Summary (countries where the searches came from). It is one way to have all you are tracking data under one interface. Your page title and the page description are the two places you should focus your optimisation efforts. Google ignores the often used “Keywords”. The page title is the line of text that appears at the top of your web browser. This line of copy is also what will appear in Google’s search results. Your description will also appear on Google search pages - it should be a well-written 120-word description of that particular page's content. The title and description are also used by Facebook and LinkedIn when visitors share your pages, having a meaningful and content related Title, and Description is not only important for SEO but also for sharing. Just as people would find a newspaper article without a headline confusing, search engines have trouble indexing pages without an “h1 heading tag”. The idea is to have the Page Title and the h1 heading title match, doesn't need to be a perfect match but it one should contain the other. If you make your way over to Google’s Webmaster Tools (and I highly recommend creating an account at Google Webmaster Tools), you will see that they support the use of an XML sitemap to help ensure your site gets indexed promptly. To notify Google that your site is ready to be indexed, get the XML Sitemap URL from your website and submit it to your Google Webmaster account. Most website management systems do have available an XML Sitemap for your site, below there are some links to posts on how to get it for WordPress, Blogger, and Drupal.